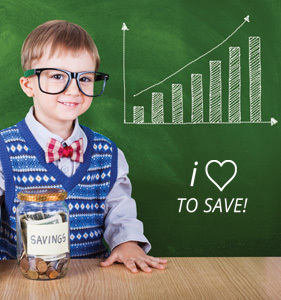 By starting to save at a young age, children gain early exposure to the basic tenants of financial literacy—such as the sooner you begin saving, the better, and your deposits will grow over time. The act of participating in an education savings plan has other benefits too. If your child knows that you’re actively saving for his or her post secondary education, this can instill greater academic motivation, resulting in higher educational aspirations, improved value placed on education and enhanced self-esteem. The question then becomes, which post secondary institution would you like to attend after high school? Rather than, will you go on to pursue post secondary education? The Registered Education Savings Plan (RESP) combines tax-deferred investment growth and government grants to help you save for your child's post-secondary schooling. RESPs are highly flexible and allow you to fund many different educational journeys, including university, college, trade school, CEGEP (Quebec) and apprenticeship programs. A huge advantage to saving through an RESP is the Canada Education Savings Grant (CESG), a federal government program that helps you save faster. * Andrew Parkin, “Family savings for post-secondary education - A Summary of Research on the Importance and Impact of Post-Secondary Education Savings Incentive Programs.” The Omega Foundation. November 2016.